Man how did I ever miss this. What an awsum looking td. Its a seriously rugged looking beast with awsum finishing work. The stickers make me cringe though as im not a fan or stickers on cars ect but hey that's just me. The Monstaliner finish having any issues? It sure looks good. Great update. Glad to see that you are getting plenty of good use out of it. It's those little touches and things that can make everything so much more functional. Good deal. Thanks Tony and noseoil, Just giving back to the forum as all of the ideas I used for my build came from here and some ideas sound great but after use are not, so I wanted to update all on my experiences. Fortunately I spent a considerably amount of time read through this forum and weeded out several ideas I had in the beginning that others said didn't really work. "The stickers make me cringe" Dales133 I know what you mean on a car but for the Teardrop the hardest part has been to keep them on. Must be the pebbled texture of the Monstaliner paint. If they stay stuck and I wax them they should last a long time, if not then I can always peel off and if needed repaint the tongue box. One of the reasons I didn't put on the rear or sides as I had originally planned. "The Monstaliner finish having any issues?" Tony the epoxy and fiberglass cloth with a Monstaliner paint job was one of my best decisions. No issues. I power wash it at the car wash when I am done from a trip. It worked so well I gave up on adding diamond plate that I had planned. No need, I have even been known to drop by a car wash when on a long trip. 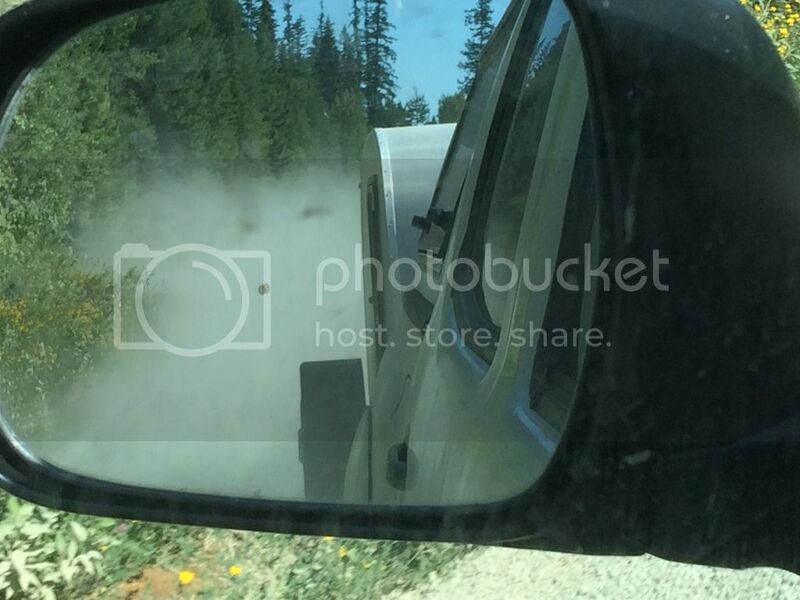 Lots of dust and road grime get picked up which in turn as you brush up against it gets inside the teardrop. When I was in Montana several sections of road was being redone and it was just dirt, so before getting to the campground I was looking for car wash to rise off. 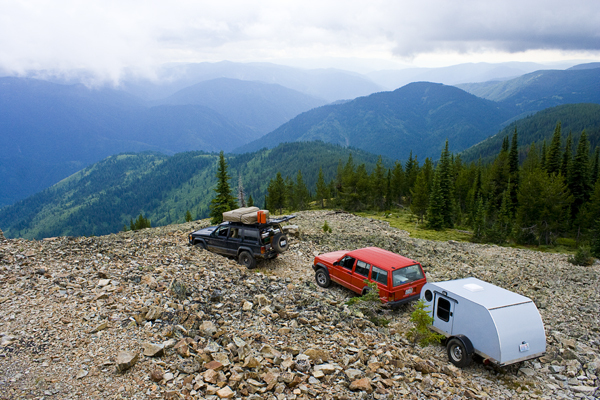 The kids were sleeping in the truck topper with a topper tent and all of the dirt accumulate at the rear, same with teardrop. I can get by without a rinse off as no dust gets inside the galley but for a 3 week trip a couple times through the car wash to rinse didn't hurt. That was from the first week in July in the Flathead country. It was hotter than an oven. That's great news on the Monstaliner over epoxied fiberglass. What a great build and well documented journal! THANKS! Dan, this has been a great build. I hope you don't mind but my wife has decided to steal your profile for our build. what an AMAZNG build!! i am truly impressed with many of your ideas and the quality of the build. I wish i had seen this beforehand as i would've borrows some of the ideas for mine. 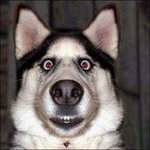 i do have a question or 2 that if possible i could 'pm' you on?? by all means use the profile. My Bride noticed your galley table mounted on the outside wall. Now she's wanting me to do the same when I get around to building out TD. Where did you get your mounting hardware? Dutch56 wrote: My Bride noticed your galley table mounted on the outside wall. Now she's wanting me to do the same when I get around to building out TD. Where did you get your mounting hardware? Rv side table mount. 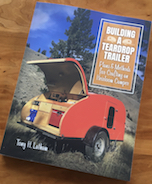 Should be available at a decent RV parts place or https://www.amazon.com/Teardrop-Cargo-Camper-Trailer-Extrusion/dp/B01347CEP4. Also look at adjustable legs. What a gorgeous build! Thank you for documenting the build so well! Thanks Dan. Now she's trying to talk be in to building a Standy trailer instead of the Teardrop. But if I do, I will still include an outdoor table.